Gordon Sproule leaves no stone unturned. From the smallest detail to the biggest arguments, Gordon looks for every advantage for his clients. Whether he is preparing and researching on his own, or working as a team, he brings unwavering professionalism and poise to every facet of a defense case. Since 1996, Gordon has served as lead counsel garnering success in numerous high exposure product liability and nursing home jury trials. 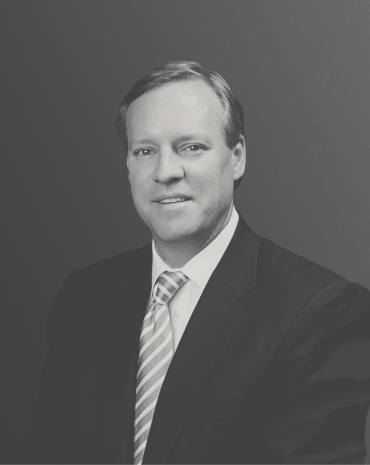 He represents automobile manufacturers and distributors in both product liability and warranty cases throughout the Southeast where he has served as lead trial and coordinating counsel in Alabama, Mississippi, South Carolina, Georgia and North Carolina. All across Alabama, he represents nursing homes in medical malpractice and premises liability cases. His passion and concern for his clients can be seen in the many client relationships he has developed over the years. For Gordon, hard work is the only path to success and every challenge becomes another problem-solving opportunity and a chance to show his clients how far he is willing to go for them. In his free time, Gordon enjoys spending quality time with his wife, Tracy, and supporting their two children in competitive sports and activities. Gordon and Tracy also volunteer their time to numerous charitable causes. Gordon earned his BS from Vanderbilt University and his JD from Georgia State University College of Law. Nursing Home - Successful defense of a nursing home facility in an AMLA matter tried before an arbitrator in Mobile, Alabama on October 1, 2018. Nursing Home - Successfully defended a long-term care facility in a medical malpractice case that was tried before an arbitrator in Jefferson County, Alabama on March 6, 2018. Nursing Home - On July 21, 2016, secured a defense verdict on behalf of a nursing home in a medical malpractice case that was tried before an arbitrator in Mobile County, Alabama. Product Liability – Lead and national/regional coordinating counsel for Ford Motor Company for past eight years in MS, AL, SC and NC. Tried to verdict 10+ high exposure jury trials. Throughout career, defended 100+ product cases. Nursing Home – Selected to represent national nursing home entity in all medical malpractice cases in the state of Alabama. Throughout career, defended 20+ nursing home cases. Automobile Warranty – Successfully tried three cases to defense jury verdicts. Throughout career, defended 60+ cases for major automobile manufacturers/distributors, including 11 cases in GA and AL. Insurance Defense – Successfully tried 10+ to jury verdicts as lead counsel. Throughout career, defended 400+ cases, including slip & falls and construction defect. Presenter, 2018 American Bar Association TIPS Emerging Issues in Motor Vehicle Product Liability Litigation Conference; "The Role of Vehicle History and Maintenance Information in Litigating a Product Liability Claim"
Author of “Desk Reference of Operating Procedures and General Economics of Law”; an article pertaining to small and medium-size firms and a quarterly update on professional malpractice issues.